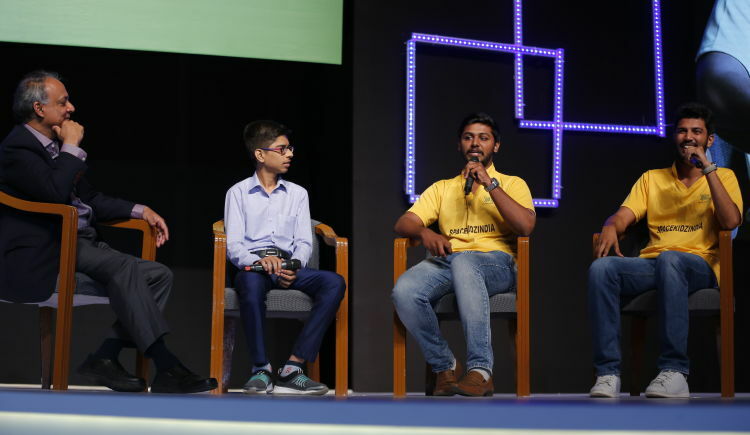 Harshwardhan Zala- India’s drone-wiz is calling on you to be a part of his innovation journey. Feel free to ask Harshwardhan Zala for a new update on this Fundraiser. Launching the Campaign from 2nd July 2018. Please support us through Ketto and Let us Together Save Thousands of Lives and Make the World a SAFE Place. 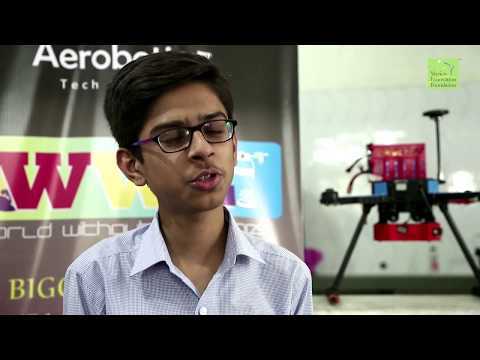 Founded by 15 years old Harshwardhan Zala in 2016, Aerobotics7 provides UAV Drones and Robotics solutions with applicability across sectors. He built his first robot – a ‘Multipurpose Home Robot’ - when he was all of 10 years by designing & developing it on a software and then programming it himself. The real turning point was in 2015 when he saw a YouTube video of soldiers in Afghanistan impacted by landmines. The video left him disturbed and motivated him to do something to solve for it. He spent hours at the local cyber cafe to teach himself enough to develop a drone that could save all these lives. His innovation- the ‘EAGLE A7’ drone - not only detects but also destroys landmines, that too with an accuracy rate of over 90%. It sends out waves in different frequencies that will scan the ground structure and detects the landmine explosive. The drone also carries a bomb that is capable of destroying the landmine; thereby saving lives. EAGLE A7 is pre-launched by Indian PM Shri Narendra Modi and Israeli PM Mr. Benjamin Netanyahu. Harshwardhan has recently signed a Memorandum of Understanding (MoU) with the state government at the Vibrant Gujarat Global Summit 2017. This innovation has also been recognized by the Korean government and Israeli Prime Minister with potential business opportunities. Harshwardhan’s dream is to make the world a more secure and peaceful place. He also signed an MOU with Gujarat State Government. Seen here with Shri Vijay Rupani, Hon’ CM of Gujarat at NSIT Event, 2016. He was the winner of the 2017 “Billion Acts Hero Awards” announced on May 23rd given to Harshwardhan Zala by Óscar Arias Sánchez the former President of Costa Rica and Nobel Peace Prize laureate with Peace Jam Foundation, the only one to get this Award in Asia. EAGLE A7 is Pre-launched by Indian PM Shri Narendra Modi and Israeli PM Mr. Benjamin Netanyahu with their Blessings for Future Work. Harshwardhan Also met Hon’ble Indian President Shri Ram Nath Kovindji and showcased the EAGLE A7 to them. They are really impressed by the Technology. What is my inspiration behind this project? I was shocked when I saw the traditional way in which buried landmines are detected and how many life are being lost due to this method. Also did you know, it costs Rs. 200- 700 to make a landmine, but Rs. 20,000- 70,000 to detect it? I am deeply moved with such a loss that people suffer. Hence, this project is really important to me - any life is a precious life at the end of the day. What is the current status of the project and what’s next? We are currently in the prototype testing stage for a new drone that detects landmines, analyze the data captured and sends data real-time to the Base Station. I need monetary support to do Critical R&D, Develop the prototypes and continue running tests till the final drone is ready as Product to use it in Real-Field by the Indian army. I am confident that this new technology will be more accurate in detecting all kinds of landmines (even if it is buried deeply under the ground). The kind of technology I am working on is truly disruptive. It is a global first Indian innovation. Hence, there is always an unknown about the outcome- this is the main risk. This is a resource heavy project as the research and development is both time and money consuming. I will be honest, it has been challenging to convince supporters to fund testing of a product that has no history or benchmarks. And that is why I am here- to ask each and every one of you to back me in your own capacity, if and only if you believe I am making a difference. My team and I are making most of the pieces on our own. To give you a sense- we design the technology from scratch then iteratively 3D print our drone parts. However, some of the components that are critical for R&D need to be brought in from overseas. These are costly, but it helps in building the technology that is so unique. The funds raised through this platform will be used for the core R&D, design & structure, controllers, drone parts, neural network systems with communication devices, in-house developed ground control station in the main landmine detecting and destruction technology.
" I have deep respect for every human life and want to save thousands of lives, rather than the people going in the minefield risking their life and in most cases losing it. I am not asking for support for myself, but for those who are suffering from the Global Landmine Issue. Let us together usher in an innovation that saves unnecessary loss of lives. MAKE THE WORLD A SAFE PLACE! " Your message will be directly emailed to Harshwardhan Zala and you will receive his/her response on the email address entered below. Thank you for your support. 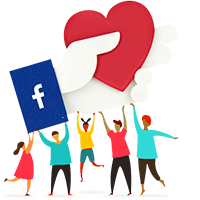 We would like to send you a personalized social media shoutout.